To find discounted items such as Black Designer Shoes, Cheap Custom T Shirts, Fashion Designer Bags, brand name apparel, accessories, electronics, furniture, music, games, gourmet foods and more, see the links below for surplus wholesalers and factory outlets all over America. This page features a detailed list of factory outlet malls in the state of Tennessee. Tennessee is home to 9 factory outlet malls, with dozens of stores selling all your favorite brand name items at reduced prices. 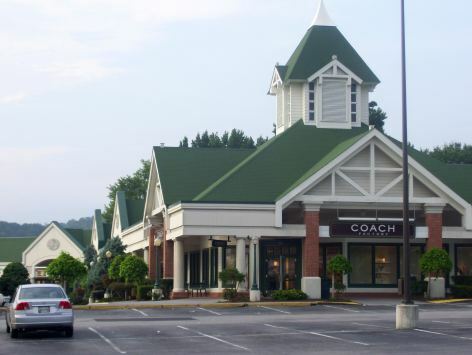 Crossville Outlet Center in Crossville has 12 factory outlet stores to visit. For details, call (931) 456-9524. Knoxville Center in Knoxville has 47 discount stores to choose from, including top designer fashions, black designer shoes, apparel, accessories, electronics, and more. For details, call 865-544-1501. Lebanon Premium Outlets near Nashville has 43 discount stores to choose from. For details, call 615-444-0433. Oak Court Mall in Memphis has 44 discount stores to shop through. For details, call 901-681-0642. Opry Mills in Nashville has 125 discount factory outlet stores to choose from. For details, call 615-514-1100. Sevierville Tanger Outlets in Sevierville features 94 factory outlet stores. For store hours and other info, call ﻿865-453-1053. The Mall at Johnson City has 60 factory outlet stores. For details, call 423-282-5312. The Shoppes at Warehouse Row in Chattanooga has 2 discount factory stores - The Cosmetic Market and Yves Delorme. For details, call 423-266-5587. The Shoppes at Pigeon Forge features 3 discount factory outlet stores - Eddie Bauer, Burlington Brands, and Kitchen Collection. For details, call 866-635-9114. For more quality merchandise at slashed prices, try your local surplus wholesalers specializing in liquidations, overstocks and closeouts. Surplus wholesalers carry all types of merchandise from department stores all over America.